Exit at Junction 13 and take the A34 to Oxford. Approximately 200 meters after the pack Horse pub turn left in to grove farm. The turning for Max Events is located opposite to the Pack Horse pub. 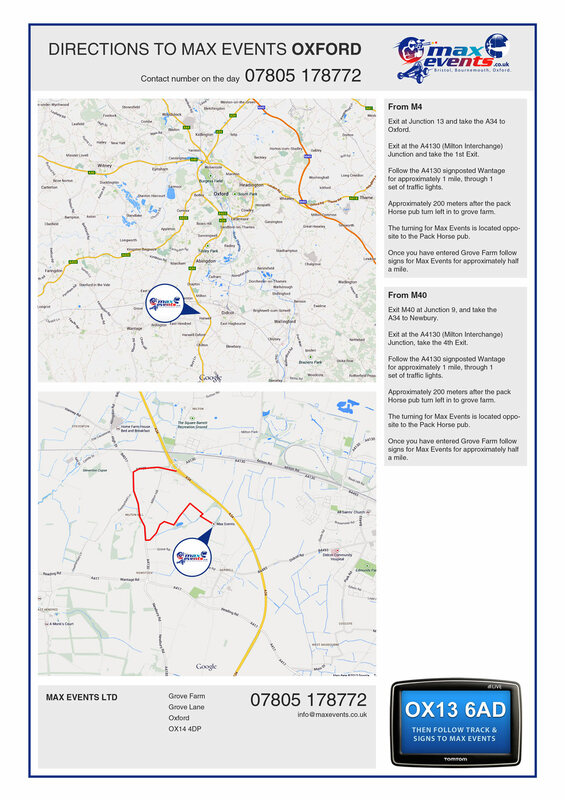 Once you have entered Grove Farm follow signs for Max Events for approximately half a mile. Exit M40 at Junction 9, and take the A34 to Newbury. Exit at the A4130 (Milton Interchange) Junction, take the 4th Exit.